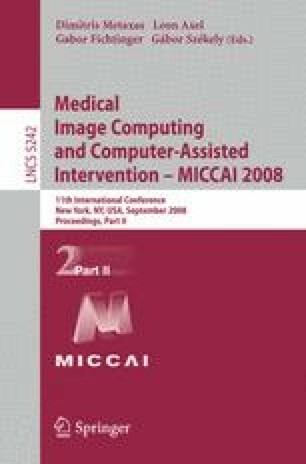 Computing, processing, visualizing statistics on shapes like curves or surfaces is a real challenge with many applications ranging from medical image analysis to computational geometry. Modelling such geometrical primitives with currents avoids feature-based approach as well as point-correspondence method. This framework has been proved to be powerful to register brain surfaces or to measure geometrical invariants. However, if the state-of-the-art methods perform efficiently pairwise registrations, new numerical schemes are required to process groupwise statistics due to an increasing complexity when the size of the database is growing. Statistics such as mean and principal modes of a set of shapes often have a heavy and highly redundant representation. We propose therefore to find an adapted basis on which mean and principal modes have a sparse decomposition. Besides the computational improvement, this sparse representation offers a way to visualize and interpret statistics on currents. Experiments show the relevance of the approach on 34 sets of 70 sulcal lines and on 50 sets of 10 meshes of deep brain structures. Electronic supplementary material is available for this chapter ( 10.1007/978-3-540-85990-1_47).